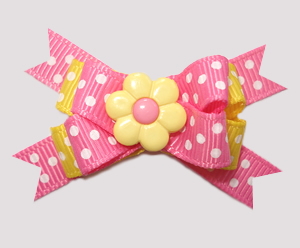 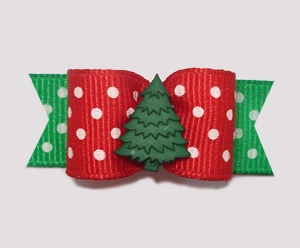 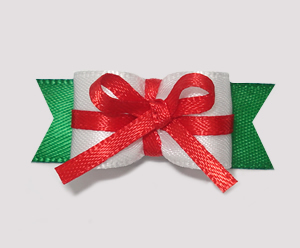 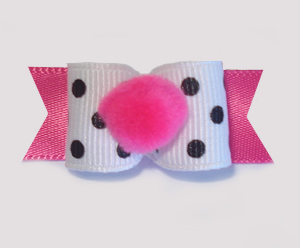 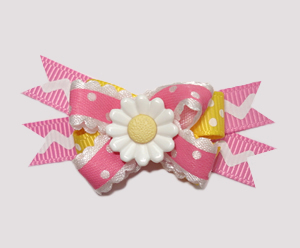 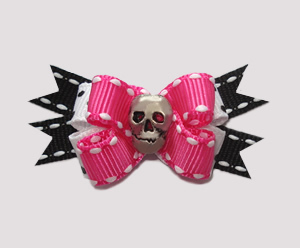 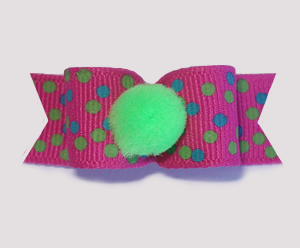 This bow features a fun pink ribbon with small blue and green dots. 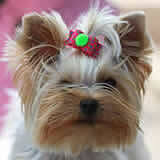 The look is perfectly topped off with a green pom-pom. 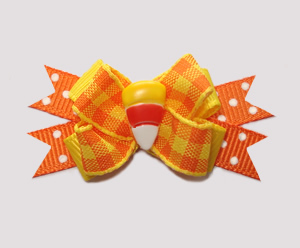 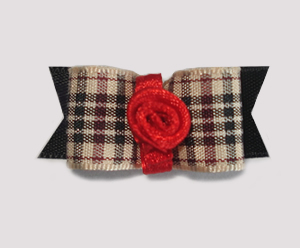 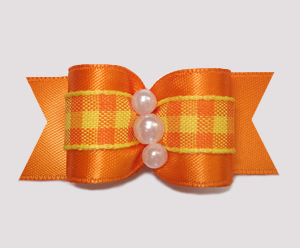 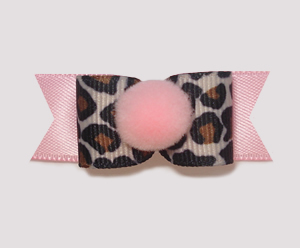 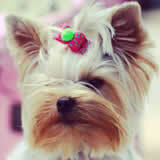 Click HERE for more adorable pom-pom dog bows. 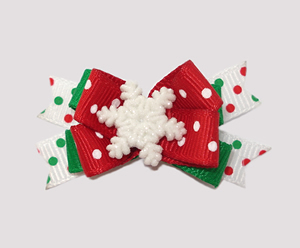 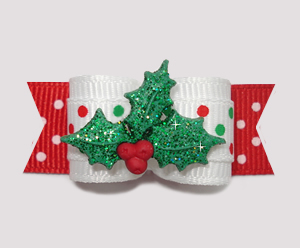 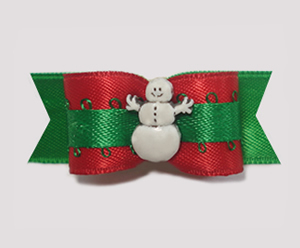 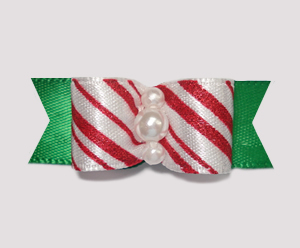 #2311 - 5/8" Dog Bow - Festive Dots, Happy Holly-Days!